With the regular season winding down and five games left for the Hitmen, it’s off to Medicine Hat for the final meeting of the season against the Tigers in a key battle. 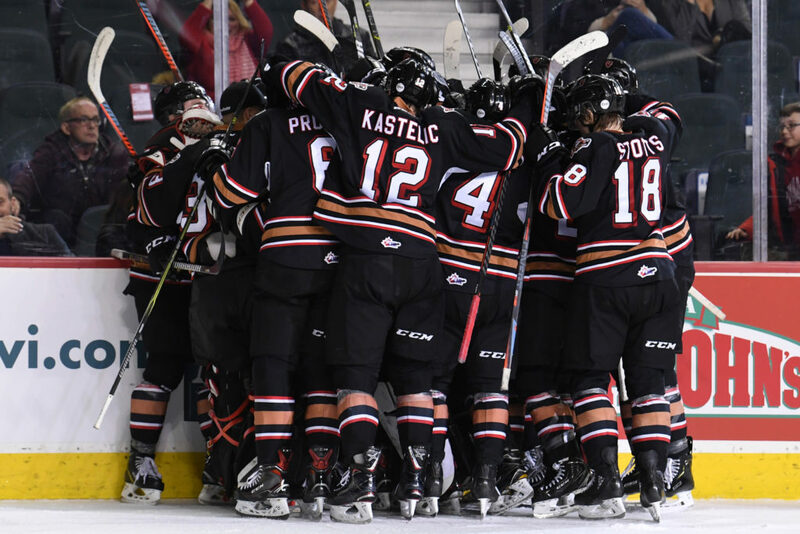 The Hitmen have been rolling with five straight wins, their most recent a 6-2 victory over the Kootenay ICE. Carson Focht scored his second hat-trick of the week, while Josh Prokop netted a pair and Ryder Korczak added a single marker. Carl Stankowski put on a performance with 36 saves to rack up his 10th win of the season. Medicine Hat currently holds the first wildcard position with 69 points in the Eastern Conference, one point up on both Red Deer and Brandon. Their last outing saw them break a seven-game losing streak with a shootout win over Swift Current, but a mark of 2-7-1 in their last ten has resulted in their fall out of the top three in the Central Division. 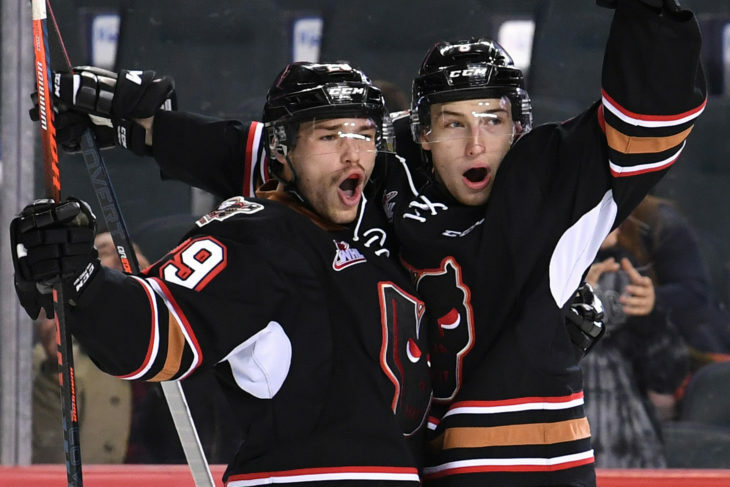 The Hitmen meanwhile have soared since a home-and-home sweep against the Tigers, with a 5-1-1 record since the two clashes. With the next five games including Wednesday night being all against Central Division opponents, the job isn’t done yet until they clinch a playoff spot. And even then, they want to finish the season strong no matter what. “The games increase in value for us and its key to not overlook any one of them,” head coach Steve Hamilton said. “It’s easy to lose focus this close to playoffs but we aren’t celebrating anything yet and need to keep our foot on the gas. 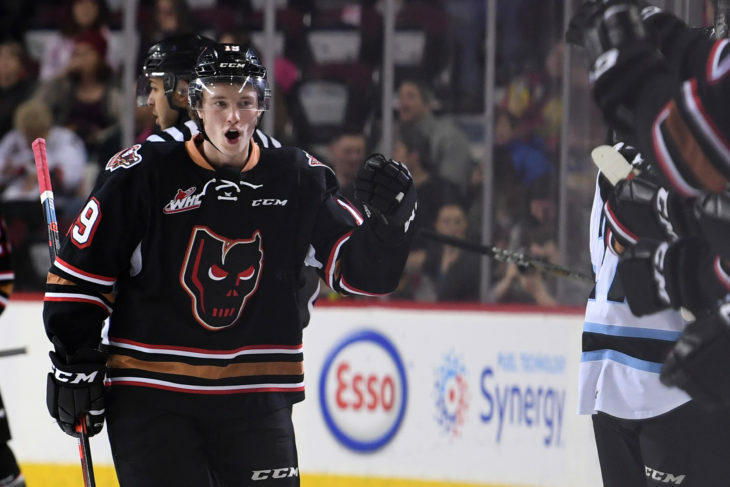 With a stretch of three games in four days, the Hitmen will head back to the Scotiabank Saddledome for the One Ticket One Tree Game against Edmonton, before hitting the road to face the Hurricanes Saturday night. Carson Focht (7G, 9A) is riding a six-game point streak. Egor Zamula (8A), Luke Coleman (2G, 5A) and Riley Stotts (1G, 7A) all have points in each of their last five games. Mark Kastelic (3G, 4A) is on a four-game point streak. Josh Prokop (3G) and Dakota Krebs (3A) both have points in back-to-back games. Jack McNaughton has won his last four starts posting a 1.98 goals against average and .905 save percentage. Carson Focht is one point away from 100 four games shy of 200. Riley Stotts needs three goals for 50. Vladislav Yeryomenko is four points shy of 100.